‘Time for straight talking on CAP funding given MFF cut. Today’s announcement on a proposed 5% cut in CAP funding in the next seven year EU budget “will be very worrying for Irish farmers,” says Patrick Kent. 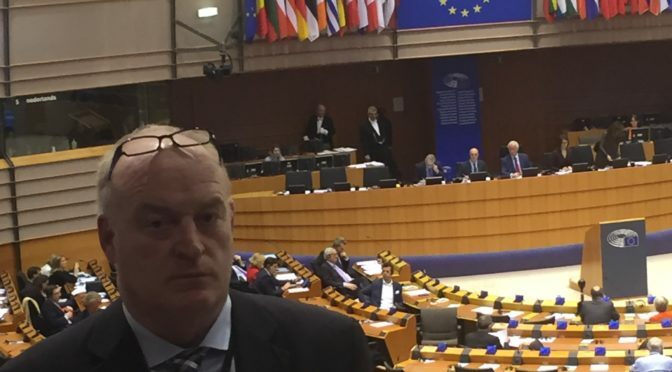 The ICSA chief was in Brussels for the speech of Commission president Jean Claude Juncker at the European Parliament and the announcement by budget Commissioner Oettinger of detailed Multi Annual Financial Framework (MFF) proposals. “It is now time for straight talking on how we can support farmers who face huge challenges especially in the light of Brexit. The 5% cut in CAP which translates into 4% cut in direct payments is unacceptable. It is clear that while Member States are being asked to increase their contribution, the figure of 1.114% of GNI is less than many would have hoped for. “It is also critical to note that Commissioner Oettinger has also outlined ideas for increased ‘own resources’ for the EU which are highly likely to be controversial and which Ireland will have difficulties with. “There is no doubt that member states must face up to the funding dilemma but the assumption that the EU can do more in other areas by raiding CAP funds has to be challenged. The focus should really be on more efficient use of EU resources. “A cut in CAP funding simply cannot be absorbed by Irish farmers.